Hourglass Surreal Edit,is it the real deal? I picked up this palette via a good friend who was visiting the UK from Canada. He asked a really silly question.. “Do you need anything from Sephora?”!! Well, Im pretty sure with my current stash I could furnish some of Sephora’s shelves all by myself, but I caved and asked him to bring me this palette. 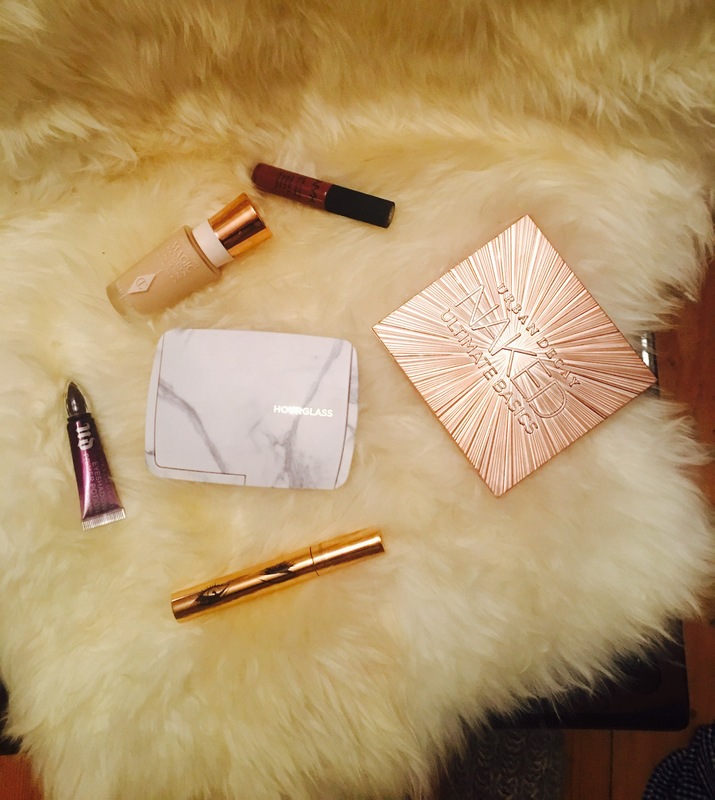 The packaging is typically swoon-worthy…that now archetypal gold box, and when you open it up..a MARBLE pattern palette!!! When you’ve recovered, you open it up to find five shades nestled within, together with a good size mirror. Strobe Powder, Surreal Strobe Light. Hourglass have really gone to town with the word “Surreal” here. I think we get the idea that these powders are meant to have miraculous properties! So, does it live up to the hype? The Number 4 blush really is lovely on my pale skin (don’t be fooled by the scary-looking shade in the picture!) and seems to really light up the face. The bronzer shade is highly pigmented, and if you are a pale-skinned gal a very light touch is needed!! The finishing powder is very nice and again, leaves the skin glowing but in a very subtle and natural way. Next I’d like to get my hands on the Ambient Lighting Edit Brush, which I think would make applying the colours a dream. It’s a double-ended brush, and since I don’t have a brush like that in my collection I think I can justify it!! At £69.00 it’s a tad overpriced, but I don’t think anyone who his interested in buying their palette is thinking about the value for money aspect! So, will you be tempted to pick this baby up?